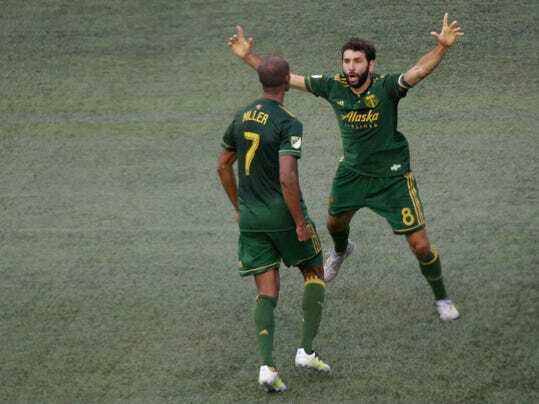 Diego Valeri is on a tear, with goals in six straight games for the Portland Timbers. That’s the longest scoring streak in Major League Soccer this season, and one short of the league record. And it’s helped propel the Timbers up the standings in the West. Valeri also has 53 career goals for Portland, a team record across all eras. Always humble, the Argentine playmaker known as El Maestro credits his team with his latest success. In his fifth season in Portland, Valeri has endeared himself to soccer fans and non-fans alike. The Timbers’ accessible star is active in the community, known to pop in on rec league games to cheer — and not just for his daughter’s team…. In clash of playoff styles, which one will reign supreme?